Bad Wolves and Nothing More opened for co-headliners Breaking Benjamin and Five Finger Death Punch at the Shoreline Amphitheatre in Mountain View on Tuesday, July 24. As soon as the first note of “Red Cold River” was played, the crowd immediately stood and cheered. 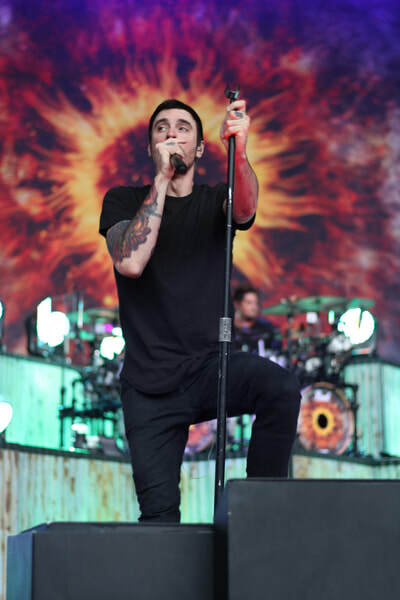 The black curtain fell revealing the stage and Breaking Benjamin continued with incredible energy as they performed the hit song from their new album Ember. The next hour plus of the band’s set was just as entertaining as the band played a medley of covers including Nirvana’s “Smells Like Teen Spirit.” They also played some of their most popular songs including “I Will Not Bow,” “Breath” and “Angels Fall” as smoke and fire shot from the stage behind them. Mid-set, drummer Shaun Foist showed off his skills with an impressive drum solo that made the crowd go crazy. As the sun set over the outdoor venue, the lighting and pyrotechnics became more and more impressive. Before ending with their most popular hit “The Diary of Jane,” the band let the young kids in the crowd join them on stage as they closed their set. 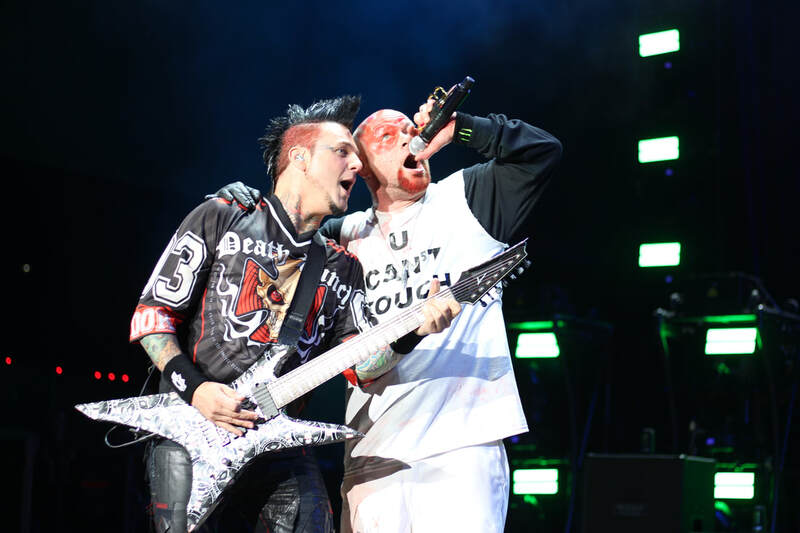 With a tremendous stage presence, Five Finger Death Punch finished off the show’s awesome lineup. Before coming onto the stage, Barney’s “I Love You” echoed through the venue, getting a good laugh from the audience. 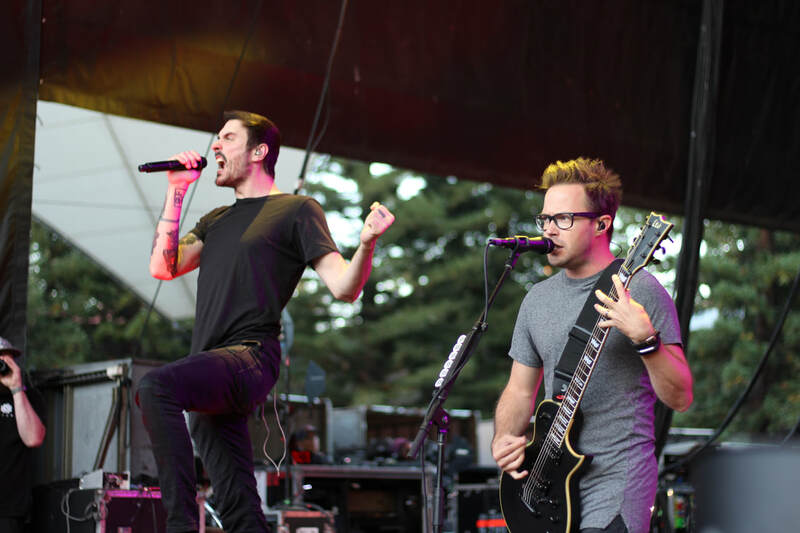 As soon as the band stepped on stage, they gave off an incredible rockstar quality. 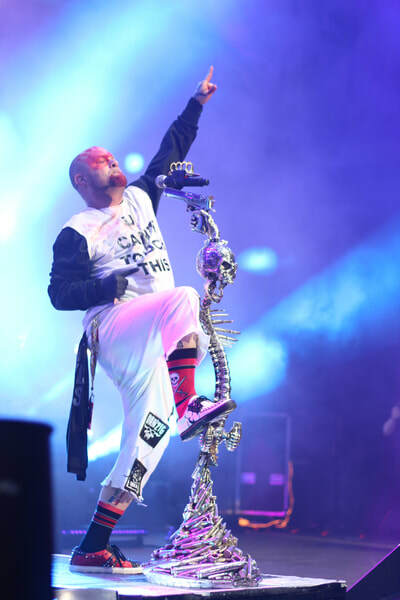 Drummer Jeremy Spencer was covered in a full skeleton suit and skull face makeup. Frontman Ivan Moody wore his classic handprint makeup and performed heavy vocals into his chrome, skeleton-shaped mic stand. 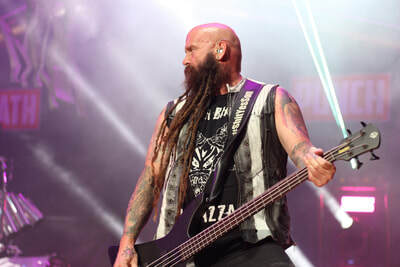 The band’s set included “Jekyll and Hyde,” “Wrong Side of Heaven” and “The Bleeding.” Behind the band, a huge skull hung from the stage as they, too, used fire and smoke to enhance the visuals of their set. The outdoor amphitheatre was a great backdrop for a summer night metal show; however, with reserved seating in front of the stage, there was no space for a mosh pit as one might expect. This didn’t stop the audience from dancing and jumping though. Both onstage and off, everyone in the venue was full of energy.